Charles Buller arrived in Congo earlier this month. He and Congolese leaders hoped to print 150 copies for the seminars. Two printers ran non-stop for hours along with other machinery to get the job done. Unfortunately they were only able to make 75 books before they ran out of toner. 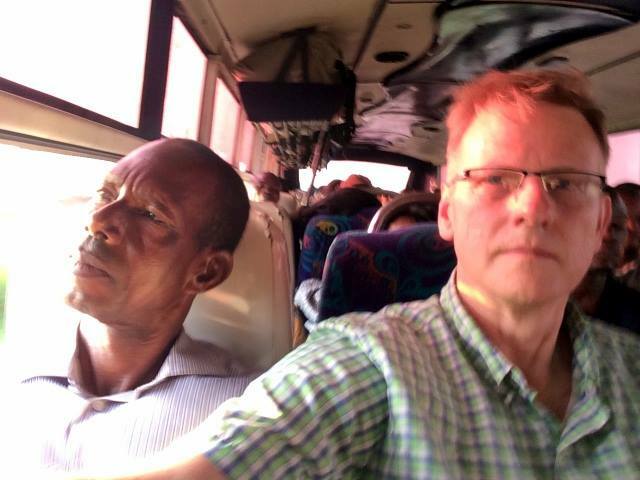 Afterward he and two others took the bus from Kinshasa to Kikwit (9 hour ride). The bus was packed as evidenced in the photo. The ride went well except for the time when the bus driver with a cell phone to this ear, headed straight into oncoming traffic so he could get onto the other side of the boulevard. Size does matter when it comes to driving in Congo. They tried sleeping overnight in the bus along with most of the other passengers, but temperatures inside soared to well over 100 degrees. They had a short night. Charles has been able to communicate via short phone calls almost daily with family. The first seminar went very well. They appreciate everyone’s prayers. More people showed up than expected. Traditionally, mostly men attend church leadership events, but this time their spouses also attended. Having many pastoral couples attend is a breakthrough for Congo. Leonard did all of the translating. Together, he and Charles sensed the Holy Spirit leading the flow of the seminar. March 30 – Travel back to the U.S. In addition, please pray for Charles’ health. He’s been suffering from a very bad bout of gastro-intestinal distress, which often comes with traveling. 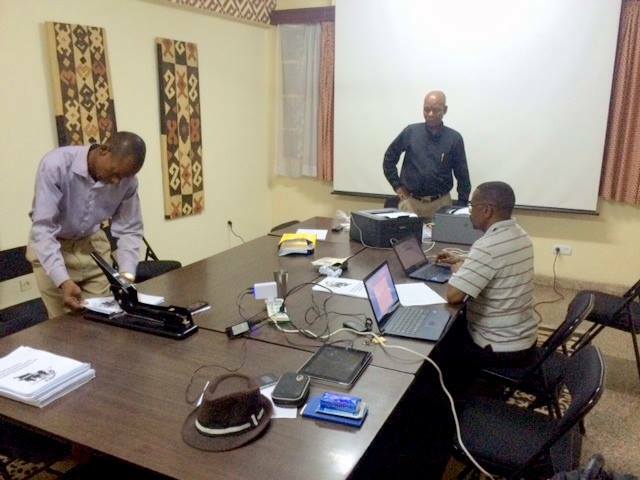 We’ll return to the testimonies of our Congolese youth after translations are completed. Meanwhile, we need to make a correction to Naomie’s Testimony (the previous post dated Thursday, March 17, 2016). Naomie’s name was translated incorrectly. Her name is: Naomie Tite Kangu Kangu. Corrections have been made to that post as of this writing.